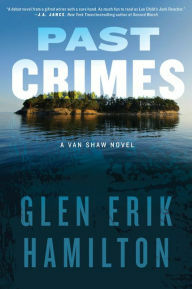 Glen Erik Hamilton's Past Crimes is one of the best books I've read this year. And, it must be one of the best books a number of people read in 2015, because it's nominated for an Edgar Award for Best First Novel. I'm looking forward to meeting Hamilton at Left Coast Crime next week. But, even before I meet him in person, I have the honor of being able to introduce him to you through this interview. Thank you, Glen, for taking time for the interview. Lesa - Glen, first congratulations on your Edgar nomination. We’ll get to that later in the interview. I’m sure, though, that many of my readers are not yet familiar with you or your books. Would you introduce yourself? Glen - Thank you, and hello to your readers! I’m originally from Seattle, and my books are set in that city. I write, for lack of an easier term, mystery-thrillers. Blending features from different genres is half the fun. A base of whodunit, a full measure of adventure, and maybe a dash of coming-of-age story. I grew up aboard boats and take full advantage of that unusual family history. But none of the shady characters in my books are based on family, at least not that I’m admitting. The writing world still feels pretty new to me – in 2013 I found my agent through ThrillerFest, and my first book came out early last year. Now I’m launching my second novel and hip-deep into writing the third. It’s been a whirlwind, and a lot of hard work, but I’m immensely grateful for all of it. Lesa - What made you want to become a writer? Why crime fiction? Glen - If you spend a lot of time on sailboats, waiting for them to move, you have a prime opportunity to read and re-read books. So every summer while drifting between islands I would pore through Ian Fleming and Robert E. Howard’s Conan adventures, and I’d noodle around with whatever role-playing game was hot at the time. Did I mention I was a happy geek? Yeah. The great thing about RPGs (the games, not rocket-propelled grenades) is that they get you thinking about the most dramatic and interesting directions for the story you’re playing. It’s not all about fighting monsters and collecting treasure. What if your little band of adventurers can’t be trusted, and you don’t know which one or ones might be looking to put a dagger in your back? Writing crime/mystery part was a given – that’s what I liked and still like to read, so that’s what I write. Stories about people and decisions on society’s fringes have always appealed. Lesa - Would you introduce us to Van Shaw? Glen - Van was orphaned at a young age and raised by his maternal grandfather Dono, a professional thief. Consequently, Van grew up with a very skewed moral compass, and acquired a set of skills that any covert operative might envy. Like a lot of headstrong teenagers, Van clashed with the rules of the house, and he and Dono had a violent parting of the ways. Cut loose and without many options, he joined the military. The Army taught him new skills, of course, but it also gave him a new perspective on what it means to be honorable. Lesa - Tell us about Past Crimes, without spoilers. Glen - At the start of PAST CRIMES, Van has been serving as an Army Ranger for the better part of ten years, on multiple rotations in Iraq and Afghanistan. He’s recovering from some minor wounds in Germany when Dono sends him a short message – their first contact since Van left – written in Irish Gaelic, the language they used at home. Dono asks Van to return to Seattle. That alone is a surprise, since the old man isn’t prone to asking for anything. Van arrives home in the pre-dawn hours, to find Dono shot and left for dead. (I figure if it’s in the first chapter and on the book flap, it doesn’t count, spoiler-wise.) To keep himself out of a jail cell, and to learn the truth behind Dono’s message, Van is forced to delve back into the criminal life he thought he’d left behind. He has to recapture some of that old magic. And break a few promises that he’d made to himself, long ago. Lesa - How did you learn that Past Crimes had been nominated for an Edgar Award for Best First Novel? The usual questions nominees are asked are: what were you doing when you heard, and who did you tell first? Glen - I was about to step out the door to go to work (yep, I still have a day job) when I glanced at my phone and noticed that my various social media notifications were exploding. I immediately assumed the worst, that there’d been some calamity. It required re-reading people’s messages and double-checking the MWA source itself before I really believed it. Then I had to go to work and keep my cool for about an hour or so until my wife had a chance to call me back. By that point a horde of friends from the mystery community had sent their congratulations and good wishes, but fortunately, she heard it from me first. That was about a month ago, and I’m still a little dazed. This time between the nomination and the banquet is delightfully surreal. I’m aiming to catch some of the emotions in a butterfly net and write about them on my website, just to freeze the moment in amber. Lesa - Your second book featuring Van Shaw is about to be released. Can you summarize it? On top of those troubles, Van is visited by Leo Pak, a former Ranger from his platoon in Afghanistan. Leo is having an even harder time adjusting to civilian life, not least because of his PTS. Van has wrestled with his own symptoms, and he offers Leo a place to crash. Whether that’s a smart move, and whether Van’s as grounded as he imagines, I’ll leave it for the readers to discover. Lesa - What are you working on now? Glen - Book Three in the Van Shaw series. I’m very excited about it, as it completes an arc of character growth and decisions that Van has made in his first and second books, and I hope it adroitly sets the stage for new adventures to follow. It’s also a bigger story than I’ve tackled before. If I’m walking the tightrope, that usually leads to better writing. Lesa - What are you reading now? What authors influenced you? Glen - Speaking of the Edgars… I recently finished Lou Berney’s excellent and nominated THE LONG AND FARAWAY GONE, and I’ve got a stack of follow nominees for Best First Novel I’d like to read before the event in April. I also read friend James Ziskin’s first Ellie Stone mystery, STYX AND STONE, which makes me eager to tackle the others in the series. But first I’m tackling some of the authors I’ll be appearing with as part of my book launch: J.A. Jance, Seattle author Ingrid Thoft, Henry Turner (another Edgar nod), Robert Rothstein, and Gwendolyn Womack. That’s the thing about becoming part of the writing community and being friends with many of these great authors; there’s never a shortage of books to keep my nightstand from floating away. As far as influences, it’s a little like tracing generations back: before long the number of names gets overwhelming. Narrowing the focus to just mystery writers, I loved Agatha Christie and Robert B. Parker and John D. MacDonald early on (maybe TOO early, in JDM’s case), and circled around to the classics of Hammett and Chandler and Highsmith and Marsh. Frederick Forsyth. Martin Cruz Smith. Sara Paretsky. Walter Mosely. 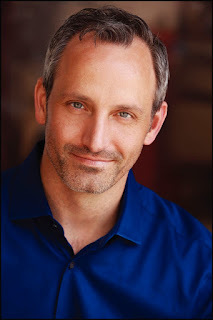 Lawrence Block. Later on Michael Connolly and Harlan Coben. How much time do we have? Lesa - Here’s one question you might not have been asked. I’m a public librarian, and I always end with this. Tell me a story about a librarian or library in your life. Glen - My readers will already know that, among her other many past professions, Van’s octogenarian neighbor Addy Proctor has been a librarian. That because I love libraries and I love Addy, and it seemed like a good move to give Van a friend with some serious book learning. It’s true both literally and metaphorically. I spent a lot of happy hours kicking around Seattle and Eastside libraries as a kid, inevitably tottering back to the car under the weight of a precariously huge stack of books. The freedom to chase after knowledge and experience and fun and finding my own path is the best gift my parents could give, and I hope to offer the same to my own children. Past Crimes by Glen Erik Hamilton. William Morrow. 2015. 9780062344557 (hardcover), 324p. 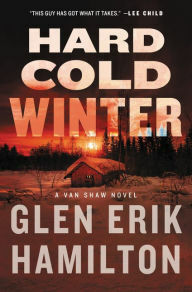 Hard Cold Winter by Glen Erik Hamilton. William Morrow. 2016. 9780062344588 (hardcover), 320p. Great interview and congrats on Best First Edgar nom. I haven't read your book, but it's now on my to-read shelf! Great interview. I like reading what authors have to say about their writing and their inspirations. Thanks, Judy & Bonnie. I hope you both have a chance to pick up Glen's book. It's terrific.